A thorough reading to economic indicators offers a temporary relief that emerges from the following data: in the second quarter of 2018, private consumption rose to +1 % from 0 % in the first quarter, employment increased in the first half of 2018 +1,6 % from +1,2 % in 2017. The improvement in business expectations contributed to the development of economic climate, which ranged to 105,2 points in August in relation to 99,2 observed in August 2017 (according to the latest data in September, there was a slight deterioration to 101,3 mainly due to the worsening expectations in industry that affected Europe as well. Moreover, consumer confidence in August was at -47,8 points, while in September it was further improved to -44,9 points based on household’s estimates and optimism but also on the overall economic climate. While the volume of retail sales for the first half 2018 rose to +1,9 % (plus +2,4 % in 2017), and in June to +2 % (plus +4 % in June 2017). In addition, July reached 106,4 billion euros against 99,8 billion in July 2017, while the increase in deposits for the 7th consecutive month +764 million euros, reinforces the view on improving the financial conditions in the economy. However, with deeper analysis the coordinates of this reading are less discouraging and more disappointing as the government celebrates the exit of memorandum while our country does not still have a strong production basis and the extroversion in order to become a normal European country. From the beginnings of 2018 until today, the exports rose approximately to 13 billion euros, while the imports to 22 billion euros respectively, with the trade shortage to be an intractable problem, reaching 9 billion euros. For example, the level of export growth for July represents 11% in value and 9% in volume and was offset for the same month by the simultaneous increase of imports (11%). As a result, the trade deficit increased (in June reached 1, 5 bps). Furthermore, the country doesn’t have an export-oriented strategy for specific products and markets of high value, which will be well-resisted in the competitive pressures of other products on international markets. High priority industries for the Greek economy, such as logistics, tourism, shipping, smart products, software applications and gambling have to overcome the obstacles of the Greek bureaucracy, being fully activated into the global market. 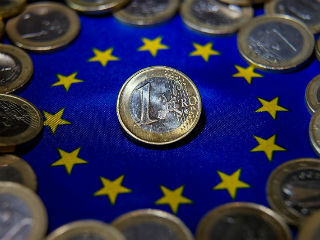 On the other hand, investments cannot present any improvement without effort because we exited from the memorandums without the existence of serious Foreign Investment Funds (FIF) in order to be synchronized with the saving rate of the economy, which remains weak at 11 % of GDP (while in other EU countries the figure reached 20% of GDP). It is clearly illustrated that domestic investments are not enough as they are not covered by domestic savings. Consequently, the only solution is foreign capitals and the extroverted strategy to diminish the savings investment gap and avoid the worsening of the current account deficit. Nevertheless, growth rates remain staggering for the first half of 2018 to 2,2% compared with 1,4% in 2017. For instance, housing and private consumption remains problematic due to the difficulty that is observed in the real economy. After the end of the third memorandum, the country will necessarily and openly expose itself to the challenges of international markets, which will affect its future. What we need is vigilance and not complacency, because in the end private debt, indebted businesses, employment, productivity, bank restructuring, savings, exports, investments will become a true nightmare and a constant concern in our daily life from now on.